So with the release of Avengers Endgame on the horizon and the fact I've now re-watched all the Marvel Studios movies again (similar to Road To Infinity War last year) I thought I’d update my ranking of the Marvel Cinematic Universe films… Plus I hadn't done this since Captain Marvel and Ant-Man and the Wasp were released! When I say rank, this is in terms of my favourites, so it may not always be what is technically the best, but it'll be interesting to see how it compares with your own rankings. For example Thor: The Dark World regularly gets cited as one of the worse MCU films, but I quite enjoy it – so will probably rank higher than other peoples lists. Also, as I've recently re-watched all the MCU movie they're fresh in my memory, so the rankings have changed significantly from the last time I did it. This is a truly difficult task, as the Marvel Studio movies all tend to range from good to great, with some truly excellent films. Phase 3 has contained so many amazing MCU films that even trying to decide the Top 10 becomes extremely difficult now! Iron Man 2 was definitely released at a stage when Marvel Studios were finding their feet for how to tell an individual story, whilst also building a wider world and setting up future films. As a result this film is a bit clunky as a standalone, however it's still entertaining and re-watching it recently I did enjoy it. Honestly think this is the blandest MCU movie released, it's not bad it's just fine (and without trying to be harsh - somewhat forgettable). This is a shame because I was genuinely surprised how much I enjoyed the first movie - however it does make me think how much of the originality and humour actually came from Edgar Wright's original vision. I think most people forget this is part of the MCU. There’s nothing technically wrong with the film but it does stand out from what we currently expect from the series. The tone is much more serious, the lead actor doesn’t carry over into The Avengers (Edward Norton being replaced by Mark Ruffalo) and there are very few ties into future films. That being said, it’s still enjoyable and the Hulk / Abomination showdown at the end is fun. I’m not a fan of “fish out of water” story-telling approach, it’s a conceit usually used for high fantasy films where the movie studios can’t afford to set the whole film in a fantastical realm. Hence the need to get our hero into the real world. Thor and Loki are both great and so is the opening section, however once Thor leaves (read: banished) from Asgard the film loses a bit of its charm for me. This used to rank a lot higher on my list (even above the original Iron Man), but after rewatching it recently I really didn't enjoy it as much. It's still good, but it doesn't really hold up and is very standalone in the MCU. I like Shane Black's quirky dialogue and the buddy cop nature of the film, but the twists no longer have the same impact on repeat viewings. The sky-dive / Air Force One sequence is still spectacular though. I’ve got to say I was really disappointed with GOTG Vol 2 the first time I saw it, there are some great bits (the opening with Baby Groot), but overall it was a let-down. Firstly it feels like the movie only has 2 acts, and the decision to separate the Guardians from one another hurts it, together with some odd character choices (Rocket becomes a complete jerk because...? Reasons). It’s ok, but is the only MCU movie (post Iron Man 2) I’ve come out of genuinely under-whelmed. However, everytime I re-watch it, I appreciate it more and as a result my most recent rewatch has moved it up the list several places. Similar to the Phase 1 MCU solo origin movies, we get a strong lead character in a movie that's good but not great. Brie Larson is really good in the lead role, and shows Marvel Studios know exactly who to cast for their heroes, but I'm more excited to see her in a sequel that can focus on a great story now her origin is out of the way. This film gets a bad rap, but I genuinely enjoy it and think it’s better than the first. It’s funny, has some great action and the relationship between Thor and Loki is really fun to watch. It’s also set primarily in Asgard so we get to see the world of which the gods are born. Who’d have thought this would have turned out genuinely great? It’s extremely funny and set around the much smaller scale of a high stakes heist, that makes it a much more personal tale. I’d love to be able to see the Edgar Wright version, but to be honest I feel this version probably fits into the MCU much more naturally. Absolutely great film, and without it the MCU would not exist. Should it be higher? Maybe, but then I’m in no way saying I think it’s bad (though the final act feels rushed and a bit weak), I just enjoy the next films more. Robert Downey Jr owns the screen as Tony Stark and this is a superb origin story that not only sets up our lead hero, but sets the tone for the MCU in general. Okay, so this is basically Iron Man 1 with Stephen Strange sat in for Tony Stark, beat for beat. However for me it ranks higher primarily due to the insanely inventive visuals, action sequences and satisfying (yet unorthodox) final act. It genuinely delivers something we haven’t seen before, it is quite literally mind-blowing. I really like this film, however I have 3 issues that prevent it from being higher. One, Thor’s dream side-story is a needless inclusion and doesn’t go anywhere. Two, the section on the farm really grinds the film to a halt and apart from some “nice” character interactions doesn’t move the plot forward. Three, the final sequence in Sokovia goes on too long. That being said, everything else is golden, my highlights include the opening action sequence, the Hulk v Hulk-Buster and of course, the drinking / lift Mjonir scene in Avengers Tower. I really love the first Captain America movie, it’s a great origin story of who has now become my favourite MCU hero (I was definitely #TeamCap when it came around to Civil War). Although after a first viewing I found the ending somewhat unsatisfying, it’s necessary to get Captain America to the present day and now we're deeper in the MCU pays off. The journey we see Steve Rogers take from zero to hero is great and inspirational. Marvel films are always described as “fun movies” but Thor Ragnarok truly is just that. It’s extremely funny, filled with great characters and has some amazing action sequences. However due to the light-hearted nature of the film, it doesn’t quite have the same emotional weight as some of the films higher on the list. You can read my spoiler-free review or my in-depth spoiler-filled thoughts on Thor Ragnarok separately. This is a landmark movie for obvious reasons, and I absolutely loved it. I've only seen it once so far, so after multiple viewings it might actually be ahead of Spider-Man Homecoming, but for now it sits comfortably here. You can read my full Black Panther review, but in summary I loved the story, the characters and the action, truly one of the MCU's best. My favourite Marvel super-hero, and he’s finally a part of the MCU. This is the most definitive version of Spider-Man on the big screen (you can read my full thoughts here). A great coming of age story, funny, action packed with organic links to the wider MCU. Technically the most perfect film Marvel Studios has ever produced. A self-contained origin story that introduces a completely new universe, at least 5(!) protagonists and makes it seem effortless and stays completely entertaining. This is a genuinely excellent film and without a doubt one of the best in the MCU. Also, what a soundtrack! It's crazy that a film I think is pretty much perfect is only at number 5, but that speaks to the caliber of the MCU at this point. An absolutely incredible movie, that masterfully balances multiple characters and still tells a coherent story. 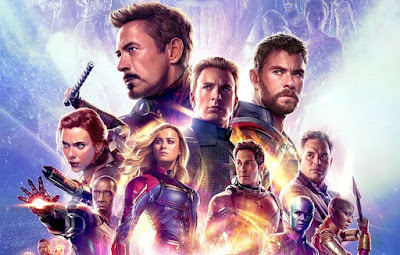 It feels like the penultimate episode in a long running TV series and Avengers 4 could help elevate this even higher depending on how it concludes. If I'm honest I was almost considering putting this at number 1 as I absolutely love it, but as the film isn't quite as focused or standalone as the next 3 MCU movies listed, it comes in at number 4. A superior film in every way to the original and one of the best solo superhero movies of all time. The Winter Soldier is a genuinely scary adversary, and the tale of espionage with Cap questioning the morals of the 21st Century government is genuinely thought-provoking. Basically Avengers 2.5 (but that’s no bad thing), Civil War not only has the most ambitious super-hero action sequence put on screen in the form of the team-up airport fight, it also has the most emotional climax any MCU film has ever had. By pitting Captain America against Iron Man the audience is completely emotionally invested from start to finish. Love, love, love this film. Oh and the fact it introduces the most definitive version of Spider-Man AND Black Panther is a huge bonus. The Battle of New York is absolutely spectacular (and I still dont think it's be topped in the MCU). It is by far the most fun and joyous experience I have ever had as a cinema-goer. It’s magnificent. The opening 10-15 minutes are a bit cumbersome, but once we have the Avengers in play this film is truly great. Everything is awesome, the character interactions, the action sequences, Loki as the villain, etc. I absolutely love it. Well that's my list for ranking the Marvel Cinematic Universe movies, let me know if you agree or not?